Our luxury vacation rental villa is situated in a good-looking, prestigious gated resort community, Club Cortile, which is just minutes away from Disney, Universal Studios and Sea World; walking distance to great shops, highly rated restaurants and public shuttle; and has easy access to major routes reducing traveling times to major attractions. This 4 bedroom 3 full bath fully equipped villa offers cable TV, free wireless internet, air conditioning unit, cookware, kitchen and eating utensils, microwave, dishwasher, oven, refrigerator with ice-maker, washer, dryer, iron and board, hairdryers and more. This scenic lake-view vacation home is only one building away from the club house, which includes a heated pool, hot tub, playground, fitness center, computer room, movie theater, tennis and basketball courts, etc. You will find accommodations that are similar to both high-class hotels and your own home. It would be the exact kind of vacation home you are looking for. Hi, This is Stacy & Jack. We have 3 identical units in the same community. We like to make friends from all over the world. HomeAway provides us a wonderful platform and opportunity. We hope that everyone stay with us here are very pleasant and comfortable. We are looking forward to having you and your friends here! As one our guest review said: my stay in this place was just PERFECT. Not only the person who rents this places is an awesome human being, but it is also located in the perfect spot. Near everything and with an easy access to all Orlando. The parking is right in the front door (helped a lot when we came from shopping). The house is a beautiful place, quiet and so comfortable. Excellent location to Disney and Orlando attractions. A lot of room for a family. Five of us (including three adult children) stayed with room for everyone to have their own space alone or to share with the family. Condo was clean and well maintained. This property is a 4 bedroom townhome (1880 sq ft), sleep up to 10, and just one building away to the club house, which includes heating swimming pool, hot tub, fitness center, tennis courts… etc. 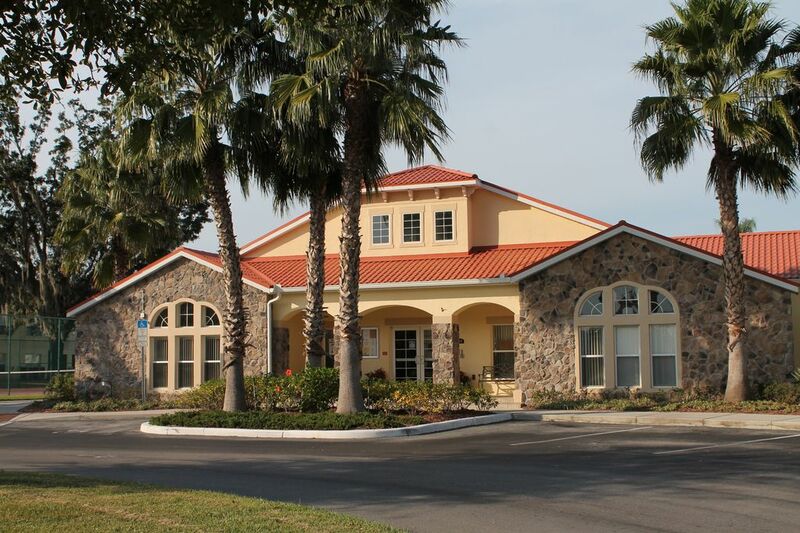 This property is located in 5 miles from Disney, walking distance to the business street (HWY 192) where major shops, restaurants and local transportation can be found. Super Target, Publix and Wal-Mart are all close by. Clean towels, hair dryer and a roll of tissue are supplied in each bathroom. Nice and clean place and close to Disney. We had a nice stay and the host was easy to communicate with. Thank you for your review! Glad that you enjoyed your stay! Dryer took four cycles to dry clothes. Getting in at security gate sometimes was difficult, not recognizing us as registered. Lights missing and not working in master bathroom. Blender missing seal, liquids leaked out, so not useable. One morning a guy in the unit next to us was on his back patio playing music so loud it woke us up at 3:00 am. Office manager was friendly and helpful. Plenty of room for our family. Hi Peter, Thank you for your review. The items you reported have been addressed by the local housekeeper. Look forward to booking with you again in the future! This was my first experience to rent a home and I was pleasantly surprised! I was very nervous as I had recently heard a bad experience from a friend and I am so happy that my experience was completely different! Stacy was very responsive with any questions I had, and her property was very well kept and clean! It was amazingly helpful to have a washer and dryer in the unit as well. I arrived a little earlier than anticipated and Allen (he’s like a one man cleaning crew and Mr. Fix It) was very welcoming as well. I had a great time and would definitely book this property again the next time I vacation in Florida. Thank you for making me and my family feel at home. Great place to stay for family vacation or reunion! We stayed here for a family birthday in Orlando. Needed a place with a 1st floor master for my elderly parents. Room was great with their own bathroom. Upstairs was a king size master and bath and 2 more bedrooms with yet another bath. Perfect for 4 generations under one roof!! I will book again in a few months for the next family birthday event!! Clean, clubhouse playground and pool almost next door. Quite neighborhood. And close to everything! Thank you for your feedback. Glad you enjoyed your stay! Look forward to having you back! We had a pleasant stay at the property, however, there were things that definitely need fixing and up grading. The owner is responsive to the complaints but I am not sure if she is aware of what is happening with the property. Many of the items mentioned from someone who stayed before me were never fixed even though the owner said they were. This is an older/shabbier place that needs a lot of work. If upgraded this would be an awesome place to stay. Thank you for your review. I had received your feedback on the vacation home and fixed all of the things you were dissatisfied with after your stay. I have replaced the cookware set, comforters set in all bedrooms, and the coffee pot. I hope you will consider staying with us again! Thanks! The property is a 4 bedroom townhome (1880 sq ft), sleep up to 10. This property is located in 5 miles from Disney, walking distance to the business street (HWY 192) where major shops, restaurants and local transportation can be found. Super Target, Publix and Wal Mart are all close by. Free parking is just located in front of this house. Accept check, Online payments and PayPal with Major credit cards. A reservation deposit is due upon reservation at $100 per stay. Deposit will transfer to damage deposit upon check in. Deposit will be refunded in 2 days after check out without any damages.